Bober, Tom. 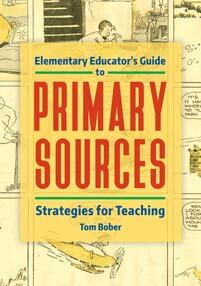 Elementary Educator's Guide to Primary Sources: Strategies for Teaching. Libraries Unlimited, 2018. ABC-CLIO, publisher.abc-clio.com/9781440863875.